On this 100th anniversary of the Battle of the Somme, Chris Nickson remembers the Leeds Pals. It’s a date which once held dark resonance for Leeds. 1 July, 1916. The opening day of the Battle of the Somme. 57,000 British casualties, of which almost 20,000 were killed. And at the heart of the fighting were the Leeds Pals. The Pals had been formed just after World War I broke out. There were similar regiments from all over the country, so friends could enlist and serve together. Known as the 15th Battalion (1st Leeds), The Prince of Wales’s Own (West Yorkshire Regiment). Over time it became a part of the 93rd Brigade of the 31st Division. But to the men who joined, and to those here, it was the Pals. They saw brief service in Egypt, then arrived in France in March 1916 as part of the build-up to the massive Somme offensive that was intended to turn the entire tide of the war and end the stalemate that trench warfare had become. Sadly, the planning was awful. The Germans were supposed to have been softened up by a week of artillery barrages. Instead they’d taken cover in their underground shelters which the Allies didn’t know about. On 1 July , when the Pals advanced from a group of copses known as Matthew, Mark, Luke and John, heading towards the village of Serre, they never stood a chance under German fire, which started even before they left their trenches at 7.30 am. As soon as they went over the top, the soldiers were cut down by withering German machine gun fire. Only a few survived to reach the German barbed wire. None made it past there. When the Germans came out to clear the wires, they killed the wounded. 900 of the Pals went into action that morning. By the time evening came, only 150 remained alive, and every officer who took part in the attack was dead. 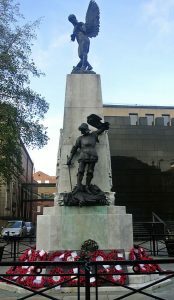 It was said that on that first day of the battle, every street in Leeds lost someone. That day decimated the Pals and affected Leeds. On 1 July , 100 years ago, the war truly came home. The fighting would roll on until November, with over a million men killed or wounded on both sides. 100 years. A sad, solemn anniversary. Leeds. October, 1893. 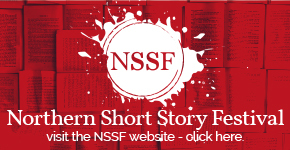 Detective Inspector Tom Harper is witnessing the demonstration of a devastating new naval weapon, the torpedo, at Waterloo Lake when the display is halted by the discovery of a body in the water, a rope lashed tightly around its waist. At the same time, dredging operations in the River Aire are disrupted when a woman’s severed leg floats to the water’s surface, still clad in its stocking and boot. Could the two macabre discoveries be connected? Harper’s investigations will lead him right to the heart of the criminal underworld that underpins the city – and into the path of a ruthless killer. 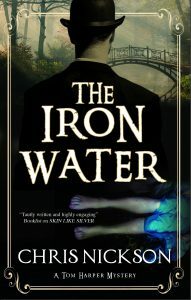 The Iron Water, the fourth book in Chris Nickson’s Tom Harper Victorian crime series set in Leeds, will be published 29 July 2016. You can pre-order your copy here.